The Russians have released their plans for a new manned spacecraft with a range from low earth orbit to Lunar and even Mars. 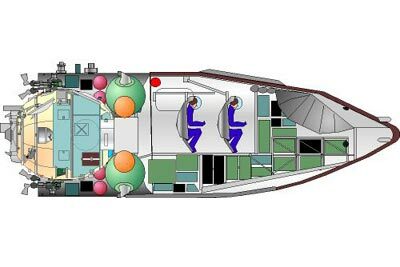 Called the “Kliper” or “Clipper” (depending on your linguistic orientation), the spacecraft will have a crew capacity of up to six people. It is specifically designed to mate in the rear with any number of propulsion modules which accounts for its amazing versatility. 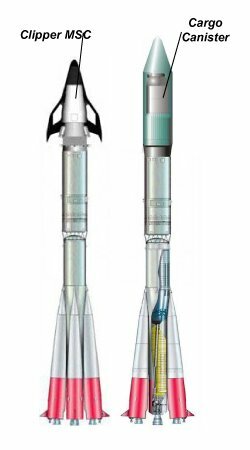 It is designed to take over for the antique Soyuz and is a one-on-one competitor to the United States’ Crew Exploration Vehicle with one exception: the Russians say their Kliper will cost ten times less and do much more. For a detailed review of its capabilities, click here. Next week in QUANTUM LIMIT we will discuss this whole idea of international competition in space in some detail.